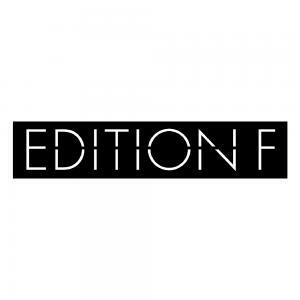 EDITION F - A new design. Additional features. More community. We hope this update finds you well and that you are enjoying the summer. Today, we want to share some current EDITION F news with you - and we are pretty sure you will be just as pleased as we are. We aren't fans of deadlock. That is why we took the community feedback and our click counts and paths seriously and asked ourselves what we could offer our users in order to grow closer together digitally and provide our readers with an opportunity to shape EDITION F. We wanted to enable our readers to express ideas, thoughts, opinions and experiences and, to allow them to better get to know the other exciting women - and men - in the community. That is why we are moving from magazine to community. Ever since the relaunch, there has been more space for community opinions, experiences, ideas, tips and deliberations; users can write an article using a simple template and publish it directly to Facebook, Twitter, Google+, LinkedIn and Xing. In this way, they can share their knowledge and establish themselves as experts. If we like an article, we will include it on the homepage and in the magazine making it accessible to a broader audience. With the help of our new in-house development, we have laid the foundation to scale content. However, we still rely on in-house editors that publish their own topics, proactively address authors and curate content. Everything else that changed in the course of the relaunch can be found here (https://editionf.com/EDITION-F-JETZT-GEHT-NOCH-MEHR-BEI-UNS). We look forward to your feedback! We have also been making a lot of progress in marketing. This week we started working with our marketer and our own marketing efforts are also yielding results. We were, for example, able to finalise the details of a five-figure campaign with Schweiz Tourismus. On 1 July, we will be honouring "25 women who we think will be DAX30 CEOs by 2025" in cooperation with Handelsblatt and Huffington Post. We were able to convince renowned speakers and five premium sponsors to participate at the event in Berlin so that we should be able to make a good profit. Aside from Susann and Nora, the speakers will be Brigitte Zypries, the State Secretary at the German Federal Ministry for Economic Affairs, Thomas Sattelberger, former top manager, Telekom executive and journalist, as well as Simone Reif, sales director at Stepstone. The 300 invited guests can also look forward to a performance by solo artist Joy Denalane and music by the DJane duo Menage à Trois. The event will focus on the 25 women. Our sponsors are Stepstone, ProSiebenSat1, Deutsche Bahn and Facebook. The guests are representatives from business, politics, society and the start-up and digital scene. Our Companists can enter a competition to win 5 tickets for 2 people each. Please email us at investor-relations@editionf.com. As always, we look forward to your feedback and are especially excited to clink glasses with you at the event on 01 July.